Hello again! 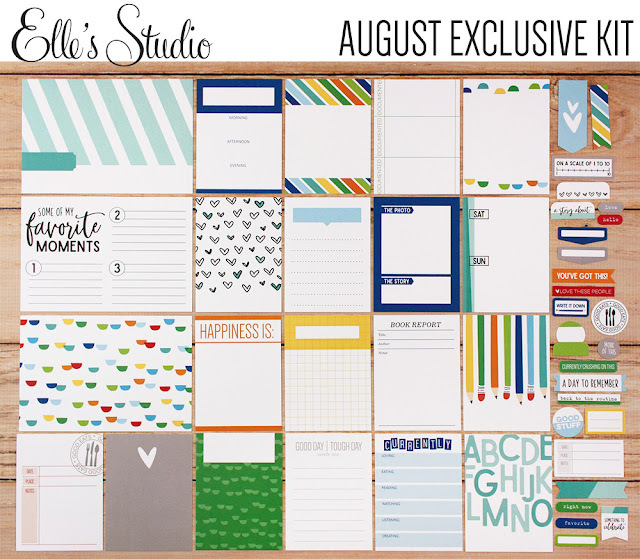 It's the 10th and that means that the new August kit + extras from Elle's Studio are live! This month has a lot of fun colors and embellishments that I think you'll love. 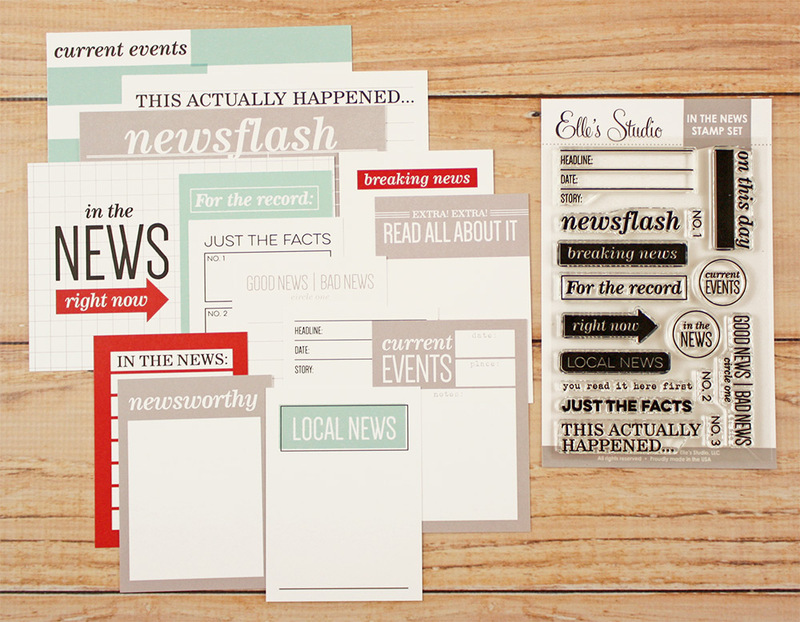 There's also a fun new "In the News" set of products with Journaling Tags and stamps that are perfect for documenting current events or just your own everyday news! I really love this kit - the cards and the stamp set and the puffy stickers especially! I created a layout inspired by one of the 4x6 cards. 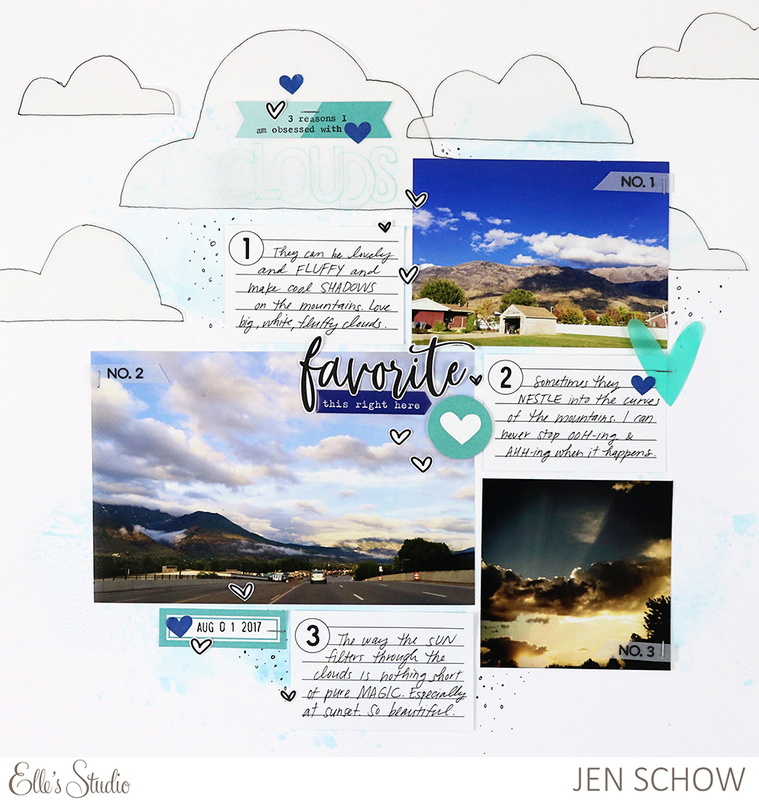 I cut it up and listed three reasons I love clouds. I also cut up one of the cards that had hearts on it to use as embellishments. If you want to check out all of the fun new goodies, be sure to head over to the shop and watch the video below for a closer look! It is really an interesting blog. It has been well explained. The significance of prophecy leaves one to ponder over what is said. I liked the video; it does hold some interesting facts. Thank you for this awakening post.